I once heard that the Finnair lounge at Helsinki Vantaa airport with access to a Finnish sauna. 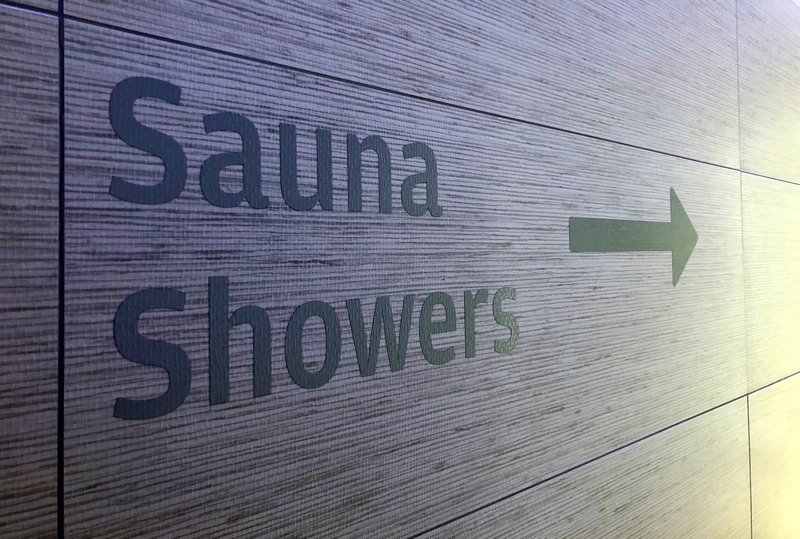 Visitors to Helsinki airport are either delighted or confused when they hear that there is a sauna at the airport – that’s why I wanted to investigate. I had to try this out to believe it exists. So, I bet you’re all wondering how it went. I’m totally happy to share my experience with you. 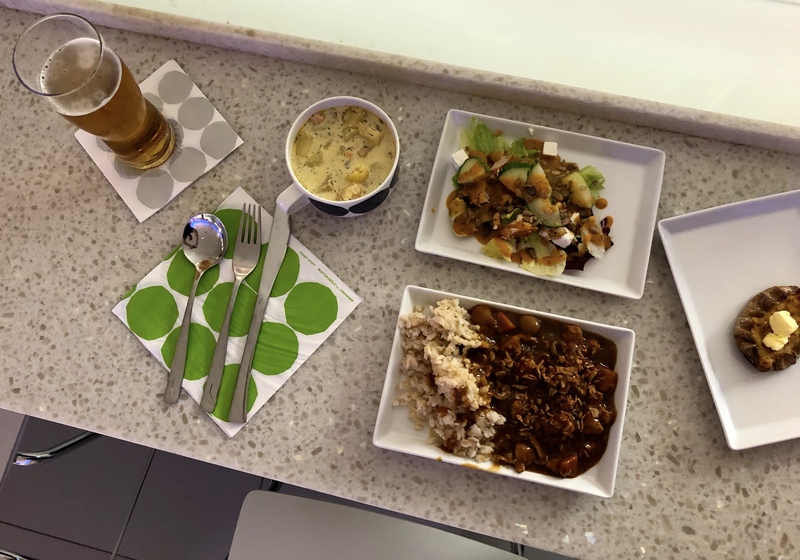 Finnair has three lounges that customers can use. 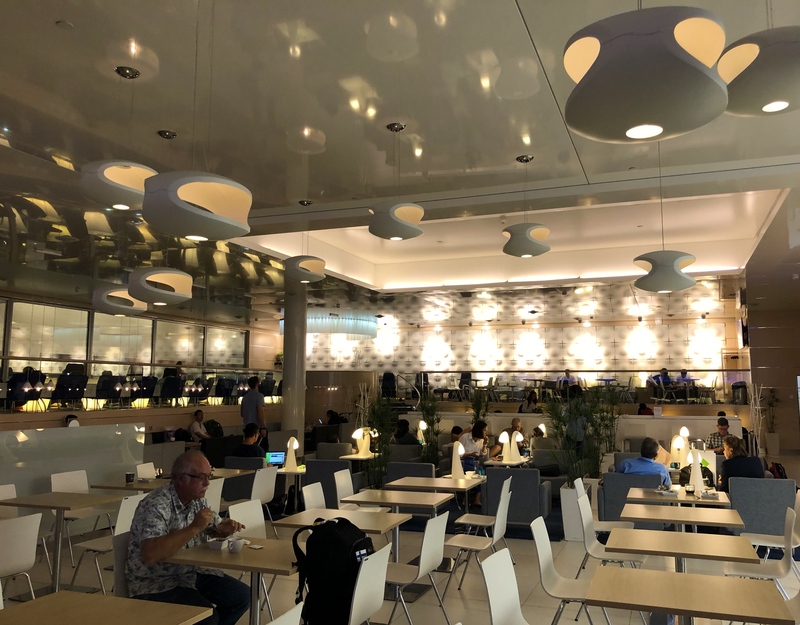 One lounge is located in the Schengen area – Transit Hall, 3rd floor, next to gate 22 – and it’s open from 5.30am to midnight. And two are located in the Non-Schengen area (International long-haul flights) – these are the ones with access to the sauna. 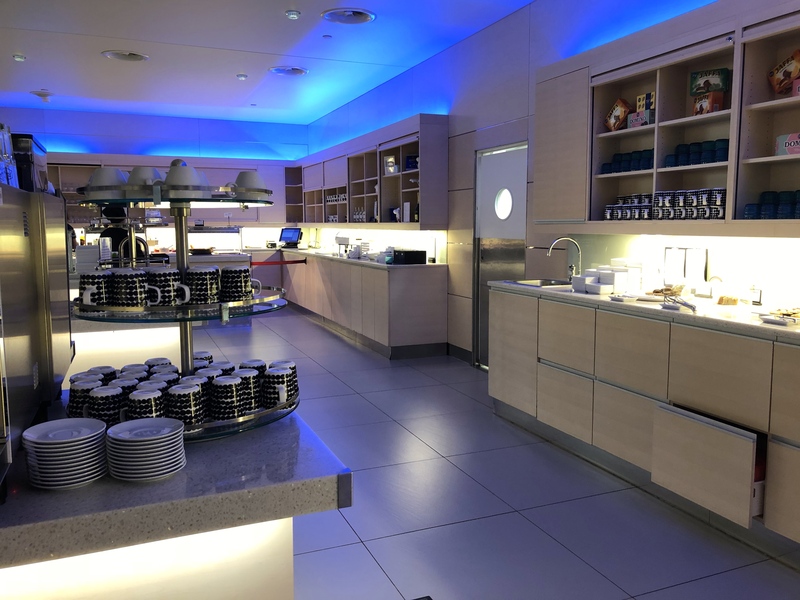 One is the Premium Finnair lounge exclusive to Finnair Plus Platinum members and Finnair Plus Gold members. Both located in the Transit Hall, near gate 50 and open 5.30am to 12 midnight. – Have a One World business class flight ticket departing from Helsinki Vantaa airport. – Be a One World Sapphire or Emerald level member. 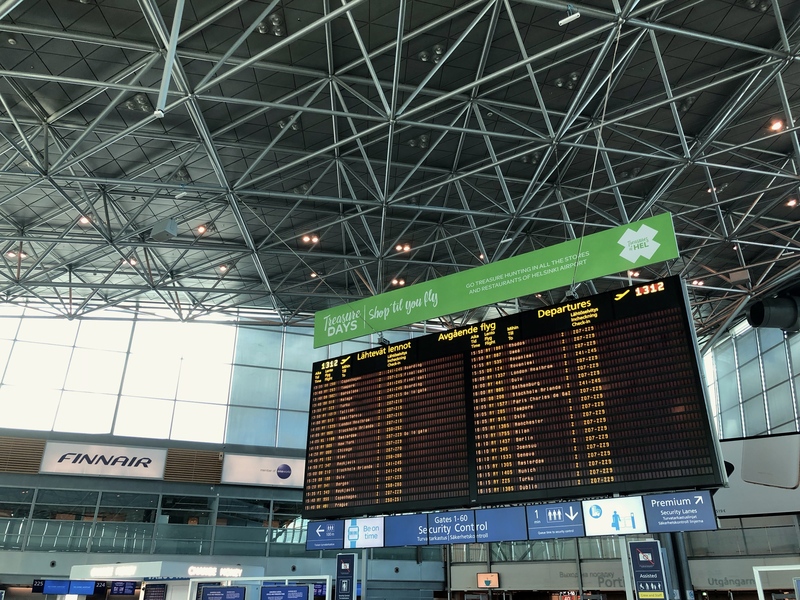 – Alternatively, you can use your Finnair Plus Air Miles or pay €48 – this needs to be booked in advance online and is subject to availability outside of the peak hours. 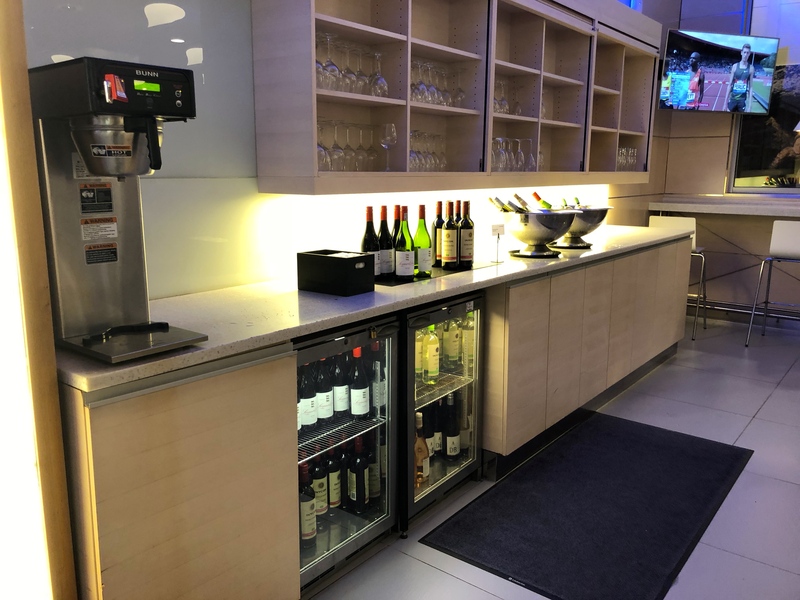 Once you’re in, enjoy the lounge space, grab something to eat and drink. 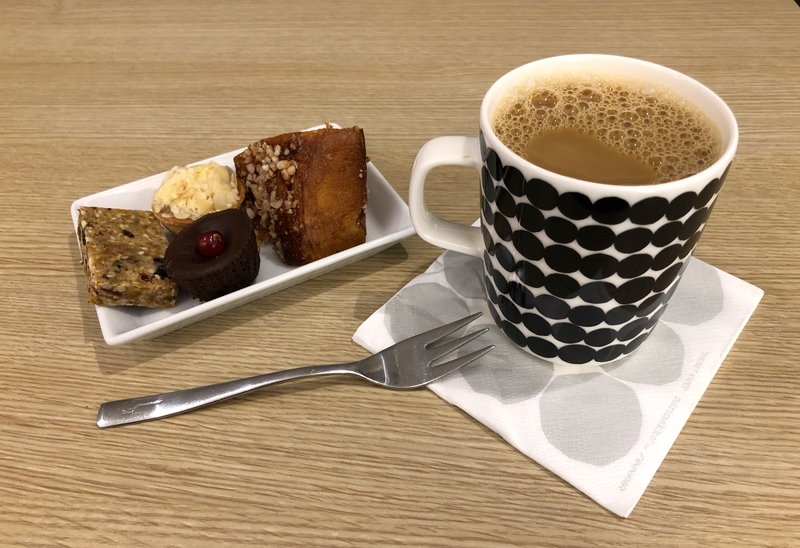 Be sure to try the special Brazilian blend coffee with some tasty Finnish style cake. They normally have a selection of pizza slices and hot dogs if you fancy grabbing a quick snack. 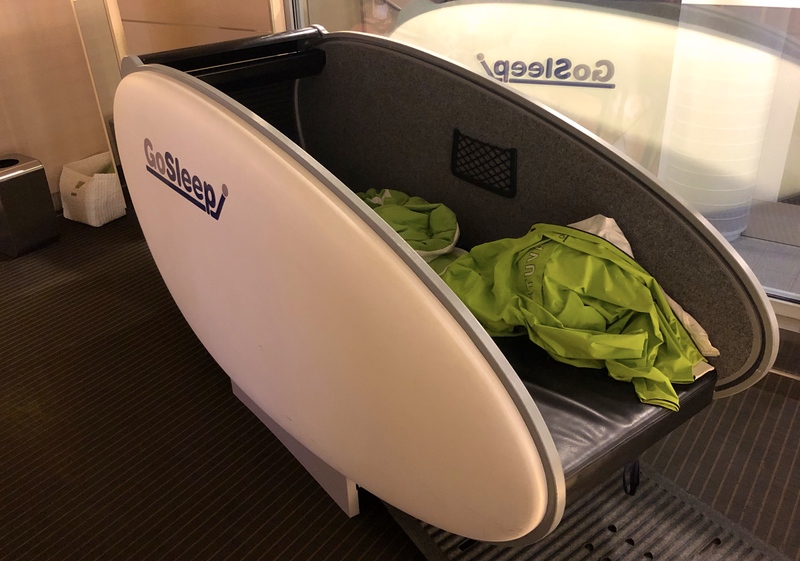 If you want to sleep, they have sleeping pods for guests to use for as long as you wish (take into account the lounge is closed after midnight). But should we move on to the Finnair lounge sauna review? 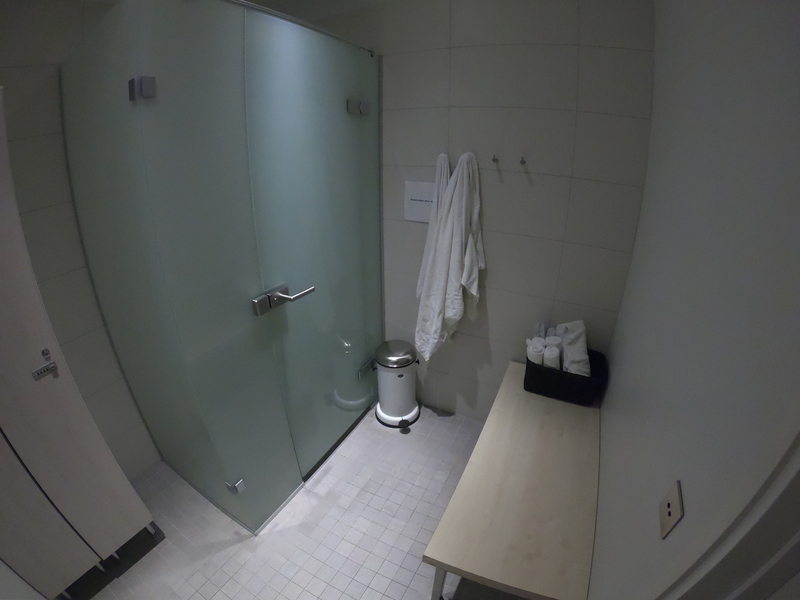 The shower and sauna room are located in the middle of the two non Schengen Finnair lounges – and you need to be in one of these lounge areas in order to access the sauna room. You do not need to book the sauna in advance = it’s simply a free-for-all first-come-first-served basis. The shower rooms are private and split up into female and male rooms, but the sauna room is mixed so you need to wear your towel to cover up. This is at least handy for those that don’t wish to travel with wet swimwear, you can simply wear just the towel. Drinking water, towels, bathrobe, soap, shampoo, lockers are all provided and can be found within the shower and sauna area. You can use the private shower room if you only want to shower, or the sauna room also has a shower to use. The option is yours. It’s recommended to shower before you go into the sauna so you’re clean and ready, and it’s advised to sit on the provided disposable paper seats. How was the actual Finnish sauna in the Finnair lounge? It is rather small, and you are able to sit up to 4 people. But for an airport it was better than expected as it was a proper Finnish electric sauna. It was pretty cool that you could pour the water onto the hot rocks by yourself so you could really heat it up, which I thought wouldn’t be possible in an airport. Remember to push the button for the lid to come up, and then you can pour the water directly onto the hot rocks. 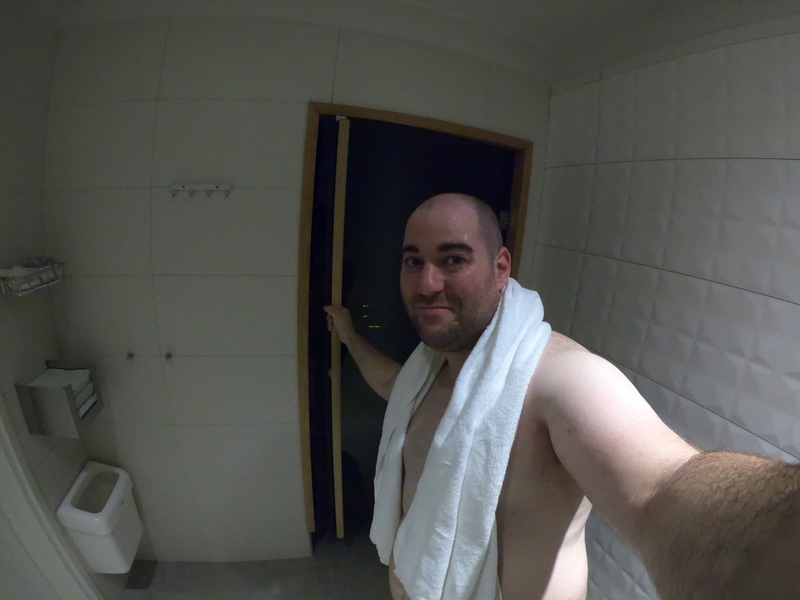 I was able to have the whole sauna to myself for a good 30 minutes around lunch time before my flight, and it was so relaxing to have a last sauna before I departed Finland to fly to Japan with Finnair. What an awesome experience to try in an airport! 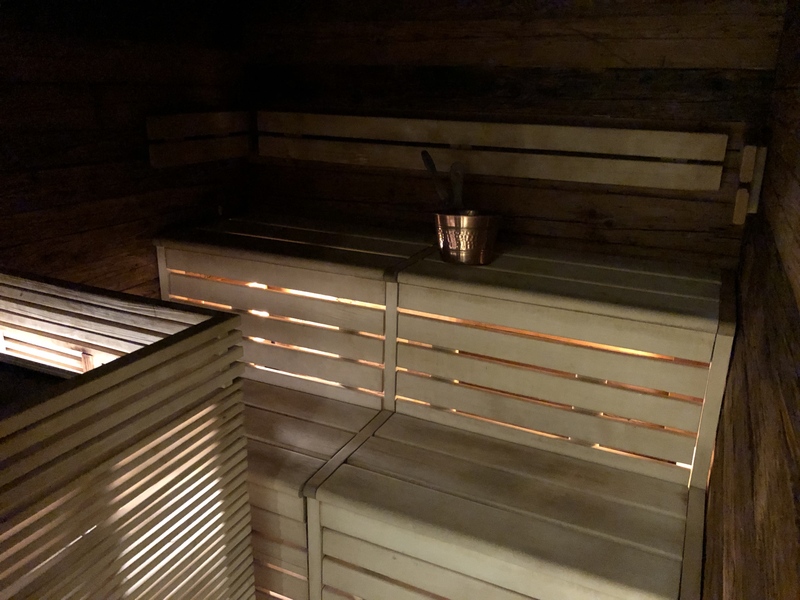 I’m pretty sure that the Finnair lounge is the only airline lounge to have a sauna you can use before a flight, it’s a pretty crazy but awesome idea. 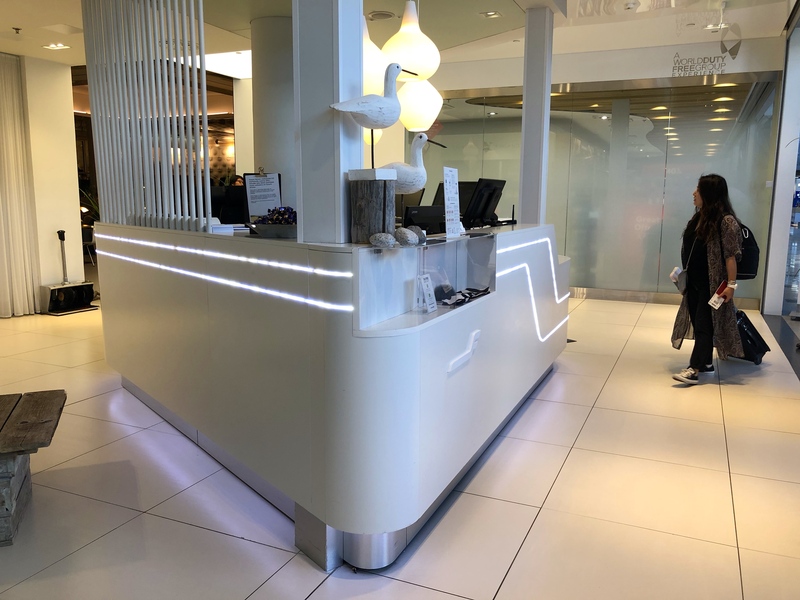 On your next trip to Helsinki Vantaa airport be sure to try the Finnair lounge sauna before your flight, and have a great trip to Finland. 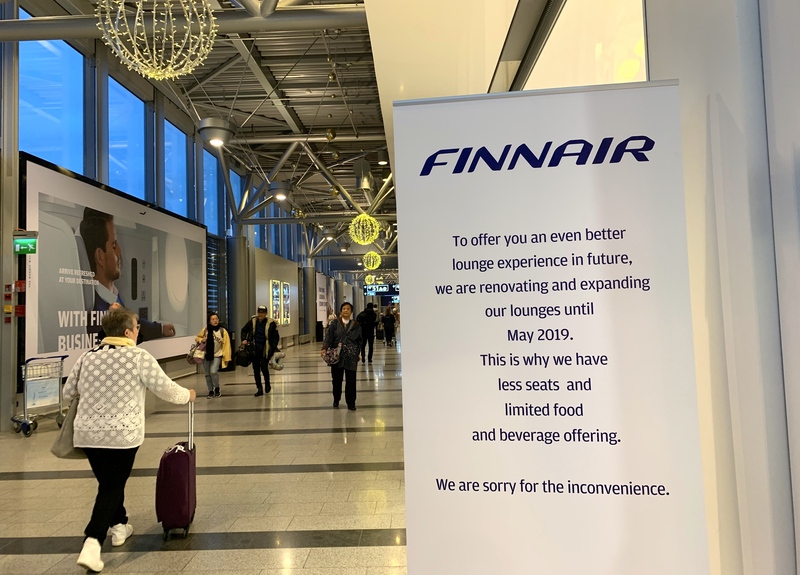 Finnair is renovating the non-Schengen area, lounge starting in October 2018. The renovation will go on until May 2019. 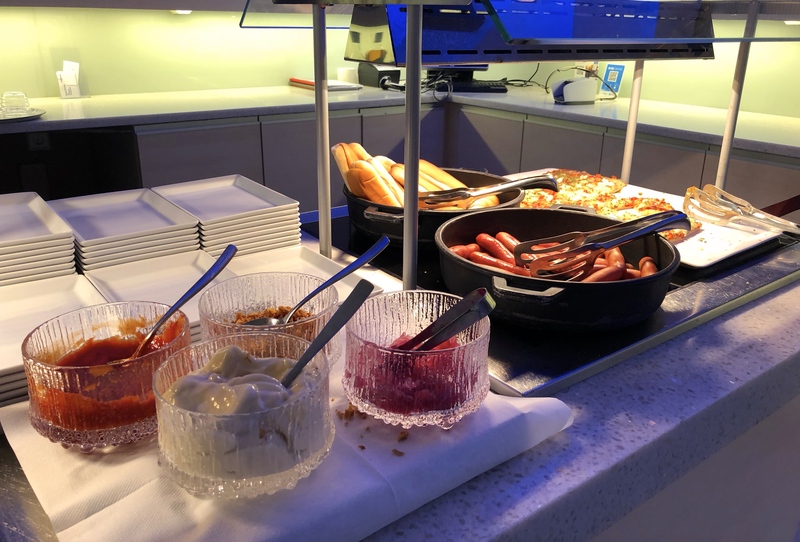 The food and beverage selection will be limited during the improvements. The shower cabins and sauna will be closed as of 1 October 2018.